Anyone who’s ever had to call their energy company will tell you that communicating your problem is the first step – and challenge – in getting it resolved. So, it’s understandable that some energy customers will see the benefits of a local call centre where the person you speak with can not only understand your problem but even relate to it. But is an Australian-based call centre a guarantee of superior service, or could you get equally good support from overseas? That’s a question we look to answer in this article. Not many power companies boast about having Australian call centres. Is that because they don’t want to be seen suggesting that an Australian customer service representative is better qualified than one in India, the Philippines, Malaysia or somewhere else? Or is it just because they don’t have one to shout about? There has clearly been a trend of large companies moving their contact centres overseas in recent years, with reduced costs usually the reason for doing so. This may sound like a bad thing for the consumer, but if your energy company is saving money, that could mean you save money on bills as a result. Many Australians like to speak to other Australians when they have a problem that needs resolving, rightly or wrongly. But in the end, it all comes down to whether or not the customer service team is delivering the goods or not. If they are, there should be no problem if the centre is overseas. If there are problems with the level of service, then the location will become an issue. So, read on as we explore the subject and shed some light on which energy companies have an Australian-based call centre, and which have centres overseas. And whether it actually matters! Are Australian call centres actually better? Just because one energy company only has an Australian call centre, and another has one overseas, doesn’t mean you’re guaranteed to get better service from the one with people answering the phone here in Australia. It is better to have a really well-trained, polite and informed customer service representative who answers the phone in South Africa, for example, than a really badly-trained, rude and ill-informed rep in Australia. However, there are some obvious benefits to local customer service, even if it’s just discussing the weather! As a paying customer of an energy company – or any other company for that matter – you are entitled to expect a certain level of knowledge and understanding of your situation – and you might assume that a person based in Australia will be better qualified than one overseas. But not necessarily. There is also a potential language barrier to consider. While anyone answering the phone to Australians in another country should be able to speak and understand English to a reasonable level, if English is not their first language, there could be some things that get lost in translation. Again, you would expect this problem to be less likely to occur in an Australian call centre. But again, not necessarily. This is not an exact science and so it’s impossible to say for sure whether you’ll have a better experience with an Australian-based call centre or not. There are just too many variables. But it’s understandable that some customers will be drawn to a local contact centre because of the perception that the company will be easier to deal with. It could be true. 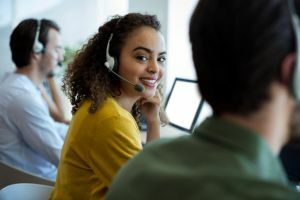 But the majority of customer service representatives in overseas call centres will be doing a good job, will be able to communicate perfectly well, and should be granted the same level of courtesy as anyone else. If they don’t have the local knowledge you’re looking for, it’s not their fault. Blame the company! What does having an Australian call centre actually mean? It’s important to remember that just because an energy company talks about having an Australian-based call centre, doesn’t mean you will always speak with someone in Australia. Confused? The reality is that most big companies will have at least a few employees taking calls from customers in Australia, but it may have another much larger call centre in another country to manage times when it takes too many calls to handle in Australia, or to take calls at unsociable hours in Australia, such as overnight, weekends and public holidays. Read or listen carefully when you hear an energy company talk about having ‘an’ Australian call centre. It may well have two blokes answering calls in Tasmania, but it could be completely reliant on its ‘overflow’ call centre in Indonesia to manage the vast majority of customer enquiries. This is why some energy companies talk about having 100% Aussie customer service – or words to that effect – or patently make clear they have no overseas call centre, so you know exactly where you stand. Why might an energy retailer leave it open to interpretation? Again, because of the perception from some customers that an Aussie call centre will mean better service. So which energy companies have Australian call centres? Remember, not all retailers got back to us, so there will be more. Which energy companies only have an Australian call centre? Once again, there may be more, but this is what we’ve been told. Powershop is probably also worth a mention as its only overseas call center is in the company’s home country of… New Zealand. We have call centres in Perth and Manila, and have had excellent feedback from our customers on our service. We believe that we offer our customers the best all round experience when dealing with Alinta for their energy needs. Ultimately, we’re determined to drive down the cost of energy for our customers, and this model is allowing us to continue to offer competitive energy deals. The bottom line is, when we save our customers save. Because of time differences in each market, a combination of both Australian based call centres and offshore teams allow us to offer extended call centre hours locally, which we know our customers want. We invest in education and training of all our staff to help ensure customers receive high quality and tailored service with every conversation, every time. Phone based interactions remain an important part of our business, but many customers are seeing the benefits of our investments in digital channels to manage their accounts simply and easily. We employee around 650 contact centre agents across Melbourne and our primary service site in Geelong, to support our customers with sales and service enquiries. In addition, we have contact centre operations in India and the Philippines. These arrangements provide flexibility to scale our operations – up or down – to match customer demand. And they give us options to enable our customers to better engage with us, how and when it suits them. Depending on the specific enquiry, customers will be directed to the relevant team for support; though as a general guide, more complex enquiries are assisted by our agents in Geelong, while quick transactions are usually managed by our colleagues in Manila. Complaints, sales enquiries and customers in our EnergyAssist (hardship) program are supported by teams in Melbourne. Red Energy is 100% Australian owned and operated with a contact centre based in Richmond, Melbourne. From humble beginnings Red is now one of the largest employers in Richmond with over 1,000 staff. Red Energy is well known for its commitment to excellence in customer service, having won multiple customer service awards over the last 14 years. You’ll always be answered by a friendly Australian-based staff member and importantly, have that same person help you from the beginning to the end of your call. 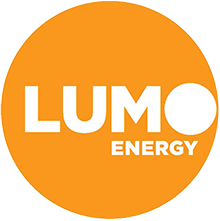 Lumo Energy provides electricity and gas to customers in Victoria and South Australia. Lumo Energy strives to provide value to its customers with a focus on simple online solutions and being easy to deal with. Lumo is Australian-owned with contact centre staff based in Australia and a team off-shore. Many customers enjoy using Lumo’s live chat function or interacting online, but for those who prefer to speak to someone, there is the option to receive award winning service from Lumo’s contact centre team. Momentum Energy’s purpose is “To Make Energy More Human”. Having a fully owned and operated Australian call centre (based in Melbourne and Hobart) is central to that. When a customer needs to speak to us, it’s critical they are talking to someone who can empathise with and understand their needs – and we believe that happens best if they’re talking to someone here. Momentum’s goal is to make things so simple our customers don’t need to call us – but if they do, we want it to be an easy and hassle-free experience. We also believe it’s important to support Australian jobs. Australians have a certain informality to how they interact – it’s hard to explain, it’s like the vibe in the movie The Castle. To give customers a good customer experience you need to be on their wavelength, and there’s nothing like a local call centre for that. It does cost more, but people just find it easier to deal with people who get them. We don’t use overseas call centres, our call centre is proudly based in Melbourne. It’s nice to keep jobs in Australia, but it’s more about staying in tune with customers. Powershop’s customer contact centres operate out of two locations: one is in our Melbourne head office and the second is just outside of Wellington in New Zealand. Depending on the inquiry, customers are directed to the most relevant team in either location. These teams also manage customer queries via email and social media as we’ve found many customers prefer these channels. We’ve made the deliberate decision to keep our teams close together (Australia and New Zealand are pretty close!) to ensure training, improvements and constant feedback is quick and easy, meaning we can solve problems and improve customers’ experiences. Simply Energy provides general customer service through call centres in Melbourne and Wollongong. Simply Energy is committed to making interactions with our service and support teams simple and easy for our customers. Customers are increasingly preferring online services and self-service and Simply Energy has developed a range of user-oriented solutions to meet this demand. Energy Locals customers will always speak to someone here in Australia. There are two reasons for this: firstly, we find that customers really welcome it. Secondly, having all conversations take place right here in the office helps us to cut out a dozen layers between a customer providing feedback and us being able to act on it. We can understand why it’s tempting to cut the cost per customer by perhaps $10-20 per year by offshoring calls, but we believe service quality and the benefit of a rapid feedback loop are worth more to customers than this. With customer centricity at the heart of what we do at Amaysim, it’s our ambition to provide world-class support through amazingly simple experiences that help take the hassle out of our customers’ lives. Our customer service is co-located across Australia, and the Philippines, offering a range of support via call, email, live chat, app, and social media. The use of technology allows our teams to seamlessly collaborate and deliver shared solutions that continuously improve our customer experience. Developing our people and keeping our ears close to our customers’ needs helps us make personal connections with the over 800,000 Amaysim households across Australia. We’ll continue to reach out to more energy companies to updates these details. So, does it really matter if your energy company has an overseas call centre? There is a certain amount of personal opinion at play here, but ultimately, it’s probably best to think about the level of customer service being provided, rather than where it’s coming from. If you like the fact that you can pick up the phone to your power company in the middle of the night with any questions or concerns, chances are those calls with be answered from overseas. Having a local contact centre sounds great, but you might not think so if the lines close at 5pm on Friday and don’t open again until 9am Monday morning. The reality is that having an overseas call centre allows energy companies to provide a more comprehensive level of customer support. They could do this within Australia, of course, but the costs would be much higher, and chances are customers would end up paying for it. Some of the energy companies we heard from – with Australian-only support – mentioned local jobs as one of their reasons for keeping their call centres close to home. This could be a genuine belief, or just a convenient policy when moving things overseas is not an option. We’ll have to take them at their word. And it’s certainly a worthy point to make, which will resonate with a lot of customers. 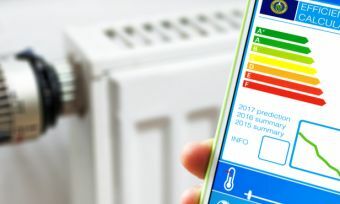 Other companies – with overseas call centres – mentioned their desire to keep costs down as a reason for their business decision, with consumers benefiting in the end through cheaper bills. Again, we’ll have to take them at their word on this one. If you’re an energy customer who only cares about getting the cheapest possible bills, this will resonate with you. In the end, it seems like there is a balance to be struck. If you want 24/7 support, you’ll have to accept that your call may be taken from overseas. If you don’t mind your retailer having limited call centre hours because you’ll eventually speak with someone in Australia, that’s all good, too. Just try to judge each situation – and customer service representative – on their own merits.